This week I am super excited for Stain by A.G. Howard! I loved her Splintered trilogy, so I'm hoping this book will be amazing as well. It's a retelling of The Princess and the Pea, which is something I haven't seen before in YA. A.G. Howard has been doing some really interesting retellings recently, and I hope she continues. The story also looks super interesting. I am excited to see how Lyra wins back her kingdom and saves her world. 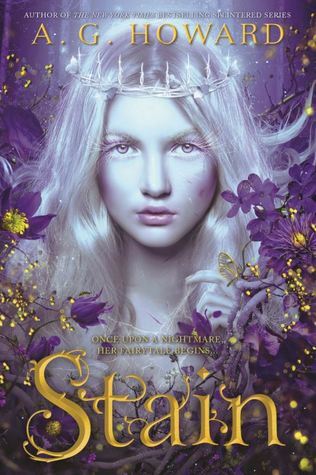 I am all in for this 'high fantasy gothic fairytale' as Goodreads calls it.